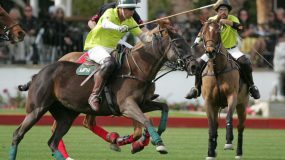 Sunday Polo games are offered January -March and are open to the general public. 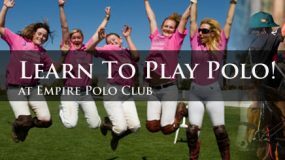 Friday Night Polo games are offered in February & March on select dates. The Friday night game schedules will be posted on this page as they are scheduled. Dogs are welcome on a leash. Please clean up after your pet. VIP Admission is $30 per person for the day, includes parking. There is only one seating for VIP and it is for the day. Admission and parking are free on Friday nights. NO VIP seating for Friday night games. Empire Polo Club is located at 81-800 Ave. 51, Indio, CA 92201. Click here for a map. No polo on this date. Join our facebook page and emailing list so you can receive up-to-date news about Empire Polo Club and related events.